“Vigilio Confido.” I am watchful; I am relied upon. That’s the XCOM motto. It’s never spoken out loud, but it’s written on their symbol, and it’s written onto the hearts and minds of your soldiers, scientists and engineers. 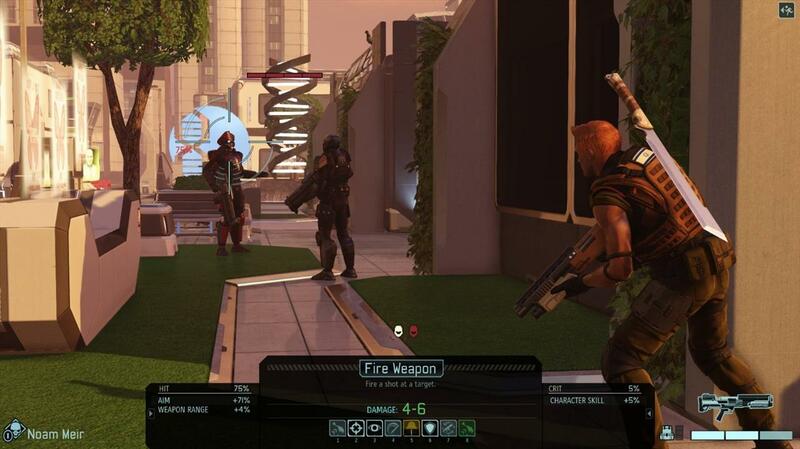 XCOM is back, ladies and gentlemen—and boy does it feel good. And brutal. Brutally good. But a limping fragment of the original XCOM still exists. 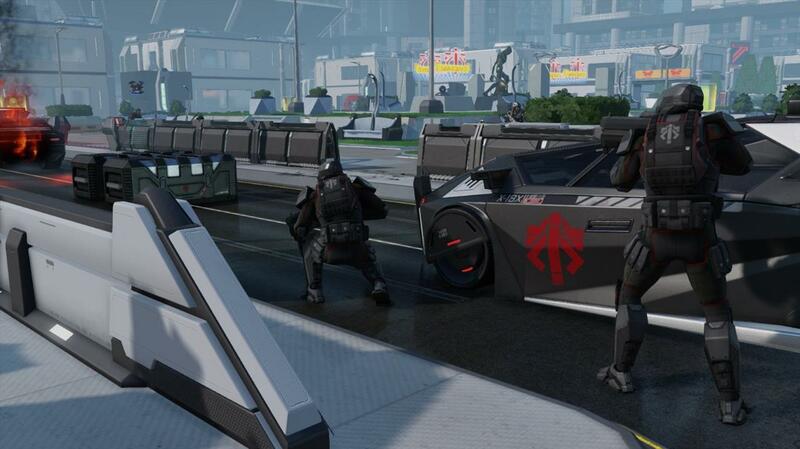 Instead of operating across the planet with the weight of every single government agency behind them, XCOM 2 leaves you, Commander, in charge of a now-mobile command center, operating from the fringes of society, working from the shadows, and striking with guerilla tactics and efficiency. 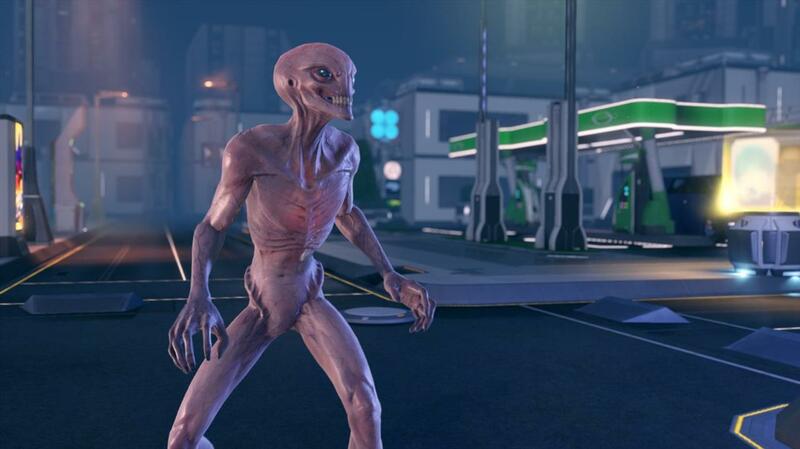 XCOM 2 is a turn-based strategy game. There are three main views. One is that satellite view, the one where you’re looking at a projection of the Earth, where you define your overarching strategy. Two is the Avenger, a mobile command center, a former alien vessel that you’ve commandeered, giving you a 2D crosscut view of the rooms you’ll build into a base proper. Three is the one you’ll get cozy with real quick: the tactical, boots-on-the-ground, attain-every-objective, shoot-every-alien playing field. That playing field is intense. You need to know where you stand at all times. Where you’ve got half cover, where you’ve got full cover, and where you’re flanks are exposed. You need to be cognizant of where the fog of war makes you lose sight of your targets. Aside from enemies and allies unintentionally popping in and out graphically, XCOM 2 does a great job of giving you moment-to-moment situational reports. But those graphics are indeed hitching, here and there. There’s a little chop to the cutscenes, and a little chop to the cinematic camera that follows your soldiers on the move. Maps with multistory buildings have a thing or two to learn about getting out of the camera’s way. A few times I’d only see a health bar on an alien when I should have line of sight on everything that alien is doing. To stress out your tactics even more, there’s something of a countdown timer to almost each and every mission. You’ll have 12 turns to get a VIP to an extraction point. Or eight turns to secure some mission-critical intel. It makes it so it’s very hard to get comfortable. Very rarely will you get to inch forward in safety. The no-joke tactics from the bad guys make you take risk after unadvisable risk. Sometimes it pays off. Sometimes you’ll reload a save. In fact, you’ll reload saves a lot. I can’t remember the last game that made me “save scum” my way through levels like this. Well, probably the last XCOM made me do that, too. You can be a brilliant tactician, and that certainly pays off. You can nail a shot that was so slim you shouldn’t have even attempted it. But sometimes—sometimes—the dice just aren’t going to roll in your favor. Sometimes you’re going to miss that shot that has a 95 percent chance of success. Sometimes you’re going to get locked down by enemies in a way that’s inescapable. Sometimes you’ll hate knowing that this is what makes the XCOM series so beautiful and so painful. There’s reward in blazing through a stage on your first try. But there’s another reward for pulling through a stage that had you reload half a dozen times, too. While mission logs are short and sweet, your chief officers often have verbose write-ups. We’re dealing with science fiction here, and there’s brains behind the writing. It helps that your chief science officer talks to you about science like he’s explaining the steps Arnold Schwarzenegger took to face off against Predator. And your chief engineer is both emboldened and humbled by her father’s legacy she’s protecting and building upon. Unscripted moments can shine, too. Emergent stories that play out, round by round, on the battlefield. Like when a rookie rifleman was able to extract my bleeding-out squad captain, under heavy fire, climbing three stories up to an extraction point. There are teachable moments all along the path to victory. Like when I learned the hard way that roofing material can take enemy ordnance, catch fire, then rapidly degrade and collapse, dropping my rooftop sniper three stories to her death. Or how I think twice now before running up on a Muton to go toe to toe, no matter how awesome my sword-swinging ranger is. It can be tough dealing with the angles the aliens (and even you) can shoot at. At the three-quarter isometric angle where the camera sits, it’s often tricky knowing how easy it is to flank your position, or just how many walls and windows some projectiles are capable of ignoring. Learning or preempting what you're getting into brings to mind the old G.I. Joe proverb: Knowing is half the battle. Of course, that expression is somewhat negated by stages and enemies that are randomized. If you do a complete mission reload (not just reloading a turn or two back, but reloading back before the mission even begins), then there are enough variables in place to ensure you won’t see the same thing when you go in the next time. The objective will be similar, but not the same. The enemy makeup with be close but different. The entire landscape could even flip from farmland to broadway in some instances. Developer Firaxis made sure you won’t be pulling off any easy runs without some procedural generation in place to throw you a curveball. You know how in every job interview you're asked, “How well do you deal with frequent interruptions?” Well, XCOM 2 is training you to handle that exact question. 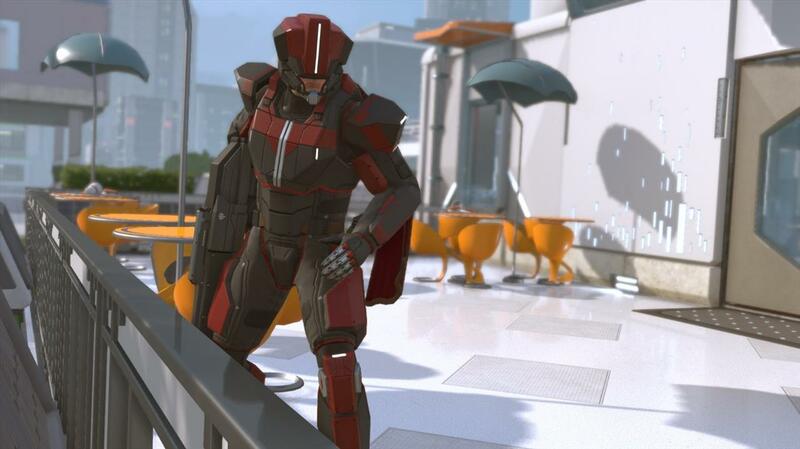 To be a part of XCOM is to deal with endless interruptions. Incoming communication, Commander. Resistance comms at capacity, Commander. Don’t ignore the Council pinging you on the red phone, Commander. Be prepared to divide your attention into a million little pieces. I started tapping into some bastardized Stockholm Syndrome, where I'd feel like the game was taking it too easy on me when I'd get through any mission on my first try. I figured then it was appropriate for me to check out multiplayer. Multiplayer is one-on-one versus mode. I’m given a pool of 10 thousand points. I craft teams out of those points, with each member taking up a certain number of points. I like to go in with nothing but ADVENT grunts—only 200 points apiece—and seeing how effectively I can dismantle other online players with significantly bigger, better teams. There’s a 90-second clock for each side’s turn, but there’s no overall countdown timer; nothing like a “This match is scheduled for 10 rounds” thing, which it could probably use. There’s nothing stopping from any one side to hunker down and keep hitting that Overwatch button, waiting for the other side to make their move. There’s a natural tension built into online versus modes. That tension is alive and well in XCOM 2 multiplayer. But the dead air between your 90 seconds and your opponent’s 90 seconds isn’t great. Especially because the camera doesn’t know where to be. It locks down on one of your guys, regardless of whether they’re alive or not, and regardless of where action could be taking place. Needs some adjustment. Otherwise, multiplayer seems to bring out the glitchiest gameplay in XCOM 2. Characters popping in and out is more pronounced here than on the single-player campaign. There are odd bouts of unintended slow-motion movement. And that camera that has one job—follow the action—but isn’t always up to the task. Regardless (regardless! ), XCOM 2 is good. So good, you guys. The meat is just falling off the bone on this one. While exhausting, you’re forced to make important decisions every hour of the game day. Every time you fly the Avenger to a new location, every time you select a new technology to research, every time you make or break a combat round, XCOM 2 forces you to consider every move, every angle, every outcome. This is a Tom Clancy novel's worth of military underdog uprisings and xeno establishment dismantling. It's gameplay is eye for eye, tooth for tooth. It's a war of inches worth fighting. If you can take punishment as well as you can dish it out, then XCOM 2 strikes the right balance. Its tactics are hardlined, its urgency is persistent, and it will wear you down even as it builds you up. A beautiful, brutal beast of a tactics game. But do what you can to clean up these graphical and gameplay hitches, Firaxis; this game deserves it.